Welcome to AbcdeFlat in Kyoto! 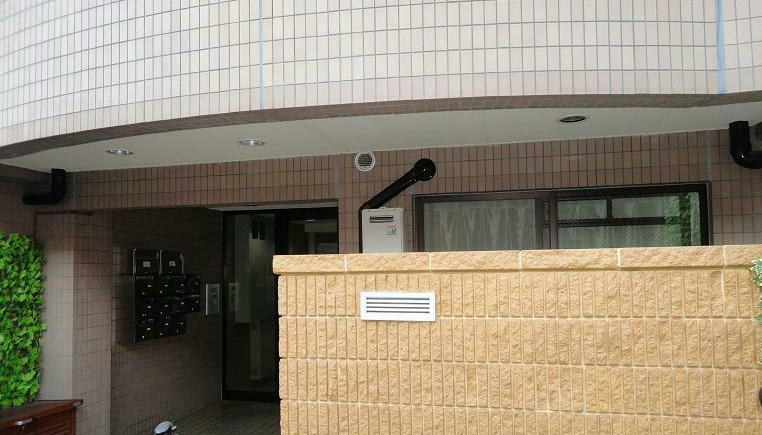 We have some furnished apartments in north district in Kyoto. They are economical and cozy. There are many supermarkets and convenience stores, restaurants and cafe around our apartments. They are in the good area where you take a walk through ancient city. There are Daitoku-ji temple, Kamigamo shrine, Kamo river and so on around my apartments. You can rent apartments from a month to a long term. You can book our apartments and houses by KaguAruoo. There are some photos about our apartments and houses. You can make a reservation very easily. You can use credit cards. Near Daitokuji-temple and Imamiya-shrine.Good access to Bukkyo University. It is about 15 minutes from Kitaoji station on foot. This apartment is 21 square metre. There is a private small kitchen and bathroom in the apartment. There are 2 beds (One is semi-double bed, the other is folding single bed). There is a washing machine, refrigerator, microwave, kettle, rice cooker, dryer, iron, air conditioner and wifi in the apartment. This apartment is on the local shopping street. There are many regional restaurants, shops, supermarkets and so on around here. Some are very famous placed in the Michelin Guide, but some are cheap which university students often go. It is in a good area where you take a walk through ancient city.There are 2 free bicycles, you can go around Kyoto by bicycles. This apartment is 19 square metre. There is a small kitchenette and a bathroom in the apartment. There is a refrigerator, microwave, kettle, rice cooker, dryer, iron ,air conditioner. You can use a common washing machine and wifi. They are convenient for long-term stay and self-catering. This apartment is on the local shopping street. There are many regional restaurants, shops, supermarkets and so on around here. It's a good area where you take a walk through ancient city,near Daitokuji-temple. Near Kamigamo-shrine and Kamo-river. Good access to Kyoto Sangyo University. This apartment is 16 square metre. There are 2 beds (One is semi-double bed, the other is folding single bed). There is a small kitchenette, a bathroom and a toiret in the apartment. There is a small refrigerator, microwave, kettle, dryer, iron ,air conditioner. You can use a common washing machine and wifi. This apartment is in the calm residential area in the northern part of Kyoto. It is near Kamo River. And it is near the local shopping street that you may feel more interesting than the Nishiki-market. There are many regional restaurants, shops, supermarkets, convenience stores and so on around here. It's a good area where you take a walk through ancient city,near Kamigamo shrine. There are 2 free bicycles, you can go around Kyoto by bicycles and buses. This apartment is 16 square metre. There is a small kitchenette, a bathroom and a toilet in the apartment. There is a small refrigerator, microwave, kettle, dryer, iron, washing machine, air conditioner. This apartment is in the student's quater. Many students live around this apartment. They are go to Kyoto Sangyou university, Bukkyo university, Ohtani university and so on. There are many regional restaurants, shops, supermarkets, convenience stores and so on around here. It's a good area where you take a walk near Kamigamo shrine. This apartment is 16 square metre. There are a loft bed. It may too big for small apartment. There is a small kitchenette, a bathroom and a toilet in the apartment. There is a small refrigerator, microwave, kettle, dryer, iron, air conditioner. You can use a common washing machine and wifi. There are many regional restaurants, shops, supermarkets, convenience stores and so on around here. Some are very inexpensive. They are good for students. These apartment are 12 square metre. There is a small kitchenette and a bathroom in the apartment. There is a small refrigerator, microwave, kettle, dryer, iron, washing machine, air conditioner. You can use a common washing machine and wifi. There are minimum facilities for an economical stay. These apartments are complete private rooms. You do not have to worry to be bothered by other people. It is good for long-term stay. There are many regional restaurants, shops, supermarkets, convenience stores and so on around here. Some are very inexpensive. They are good for students. Hokkori Kyoto is in the north district of Kyoto. These apartments are near AbcdeFlat. These apartments are managed by a Japanese female who is learning a design at a university. Although she was an IT engineer, she stopped working and came to Kyoto from Tokyo to go to the university in Kyoto. She likes Kyoto very much. She has much information about restaurants and a cafe in Kyoto. Please contact us by Facebook! You could make a reservation by airbnb. However, you can only see the reviews about my apartments and houses in Airbnb now. Usually the stays more than 1 month are recognized to be a normal house lease in Japanese law. But the guests who come from airbnb are recognized to be the guests of the inn. My apartment is not inn. I decided that I am not going to get licences of inn and that I continue the rental furnished apartment as a normal lease house.